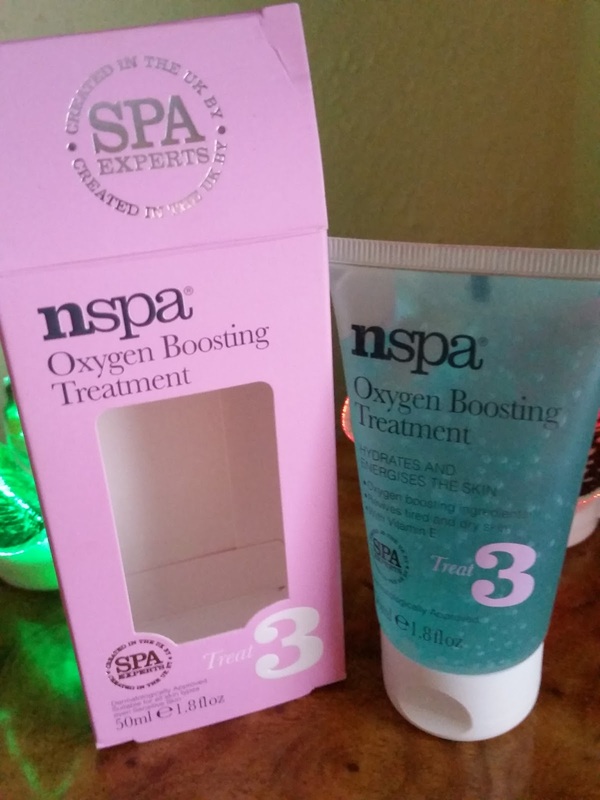 In the products that were sent to me, i came across the nspa oxygen boosting treatment. I was really interested to see and find out what this product was all about as i have never heard or tried such a product. for stressed, dull or tired skin. you then can gain access to take the product out from the packaging. The amount product you get is 50ml or 1.8fl oz. Use as a treatment before a moisturiser. Can be left on or washed off. The nspa oxygen boosting treatment is step 3. It comes in a squeezy tube and dispensing is really easy when applying to finger tips to then apply to the skin. 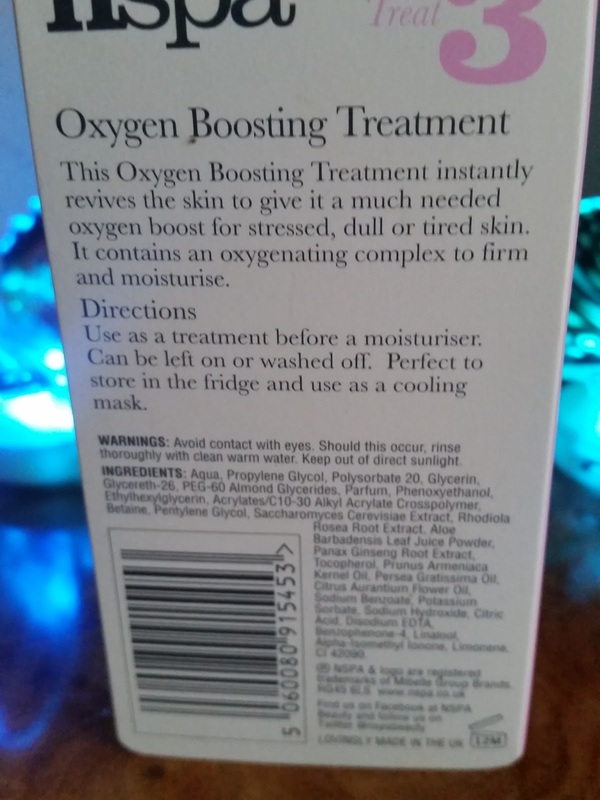 The oxygen boosting treatment is a light gel that glides over skin easily and does have a slight cooling effect. I can see why they suggest you can place this in the fridge as you would have a greater cooling effect by doing that, with this gel. This absorbs in an instant and leaves skin instantly soft with a light scent to calm your senses and skin. You don't have to apply a moisturiser after as skin is left smooth and hydrated but if your skin type is on the dry side then you can. I actually left this on my skin over night as i didn't wash it off and this didn't break me out at all. The next morning my skin was someone else's! My skin was glowing, less stressed , looked more firm and was perfectly moisturised! It was as if i had a spa or beauty facial, all from this wonder tube of gel. This is such an easy treatment to indulge and treat your skin at home. This is also suitable for all skin types, even sensitive so everyone can try this! 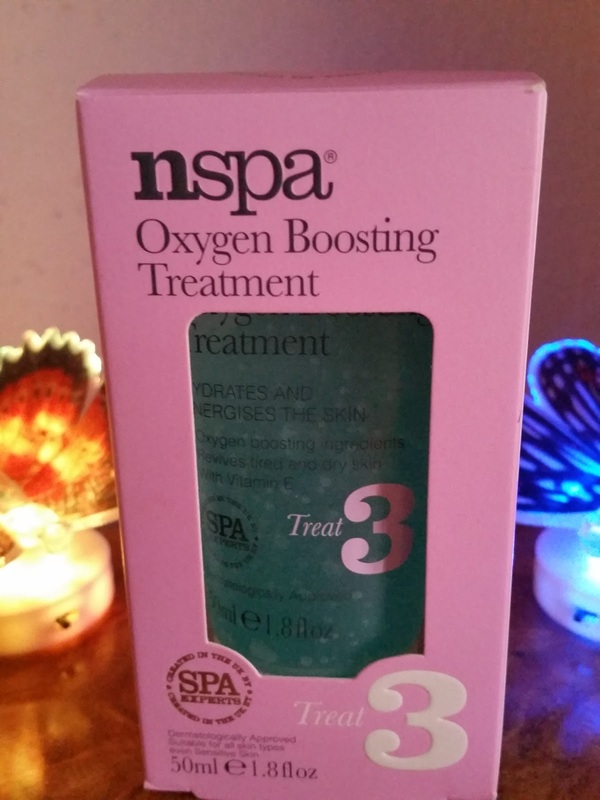 Be sure to pick up the nspa oxygen boosting treatment available from the 22nd of august.